The breaking news from Variety leaves open some questions on exactly who will be apart of "Spider-Man 5" and "Spider-Man 6". Sam Raimi is directing the fourth film in the series and production is set for early 2010, but after he finishes "Spider-Man 4" he is contracted to start shooting a "World of Warcraft" film based off the popular videogame. Variety says that it is unclear whether Raimi will return after the fourth film. Has Sony and Raimi's relationship worn thin? 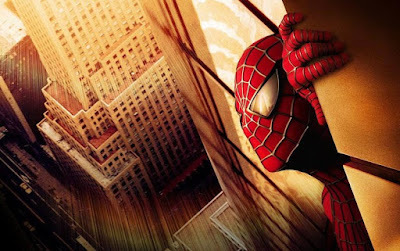 Looking further into the report, Vanderbilt was initially hired by Sony to pen "Spider-Man 4" and "Spider-Man 5" in the same manner he has now been re-hired to do a fifth and sixth installment. Vanderbilt's idea's for the fourth film didn't sit right with Raimi and he brought in David Lindsay-Abaire (Rabbit Proof Fence) to re-write the script. Gary Ross was later hired to re-work Lindsay-Abaire's draft. But now, Vanderbilt has been semi-quitely brought back to pen the next two sequels. On paper it appears that Raimi will have his last attempt at Spidey in the fourth film and then Sony will move on with the project in another direction. Variety reports that if Raimi and the stars of the previous Spider-Man films do not return the fifth and sixth films will be used as a "blueprint for a franchise reboot." However if Vanderbilt has already been hired, wouldn't he want to know if he is writing a re-boot or just another sequel continuing Maguire's Spider-Man?